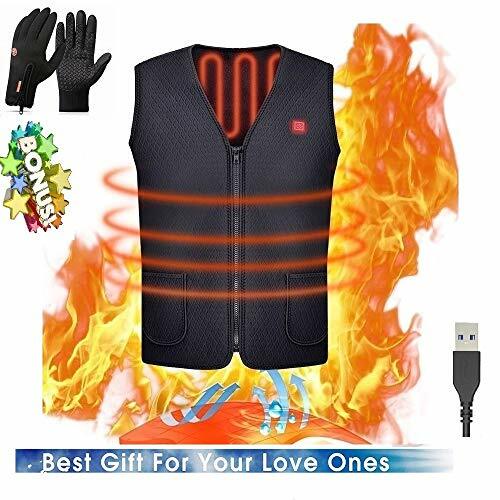 Nano Fabric NO SPECIFIC POWER BANK POWERED - Freefa heated clothing powered by any 5V/2.1A power bank, USB plug compatible with most power bank in the market ( BATTERY NOT INCLUDED ); 3 SEC FAST HEAT, 0 RADIATION SAFETY - quick smooth electric warmth without radiation. HEATING LEVEL ADJUSTABLE - 3 heating level from Preheat to Very High. 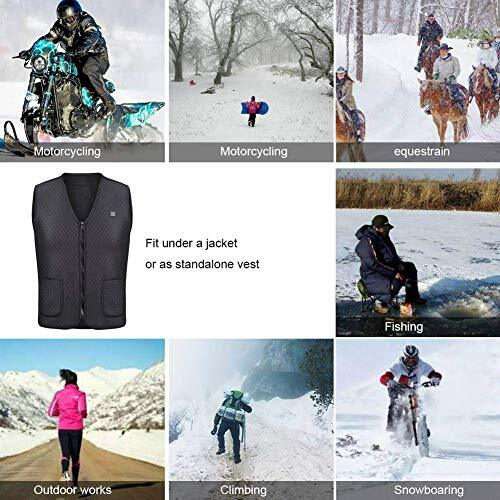 Perfect for outdoor activities like a snowmobile, motorcycle, mountain, camp, hike, ski, Fish, Hunt or office routine and business try during fall and winter. 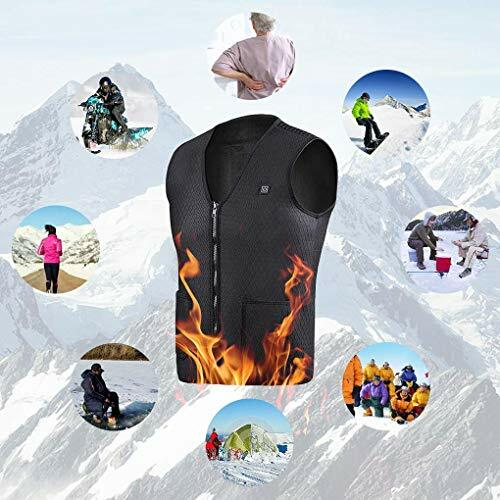 HEALTH CARE HEATED VEST -Vinmori electric heated clothing help promotes blood circulation, relief pain of muscles. Best Christmas gift for parents and families. Face beautification and body shaping: It activates various functions between skin and promotes metabolism. Body warming and blood circulation: It warms the human body, consumes excess heat, increases blood oxygen and fluidity. Instructions for use: 1. 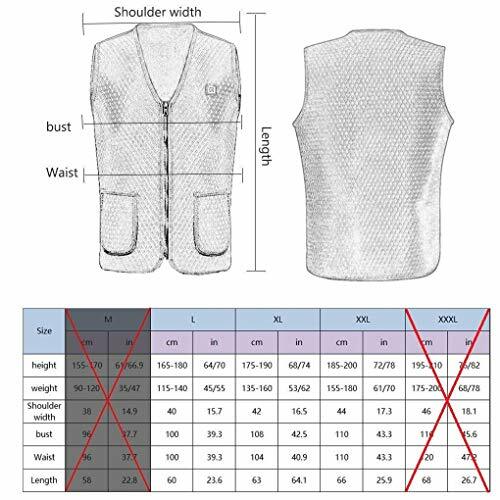 Vest features built-in USB port to connect the power bank. 2. Power switch - long press the switch for 3 to 5 seconds. 3. Red light flashes - automatic heating 4. Red light - manual heating, high temperature 5. White light - medium temperature 6. Blue light - low temperature. 1. 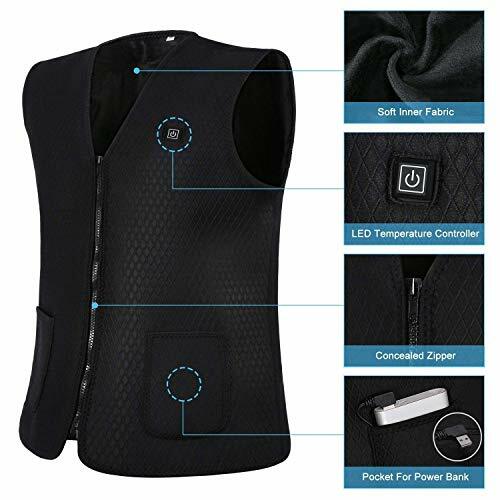 Vest features built-in USB port to connect any 5V/2A power bank. 3. Red light flashes - automatic heating. 4. 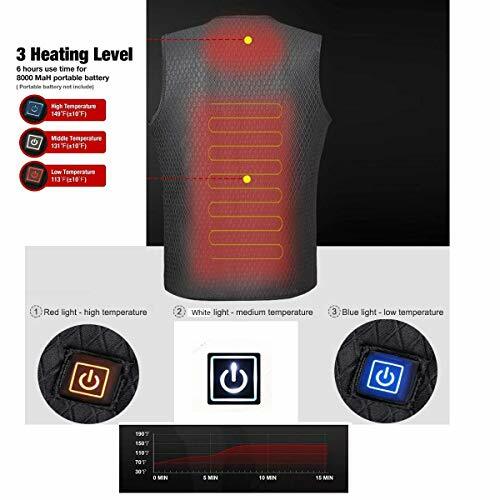 Red light - manual heating, high temperature. 5. White light - medium temperature. 6. Blue light - low temperature. 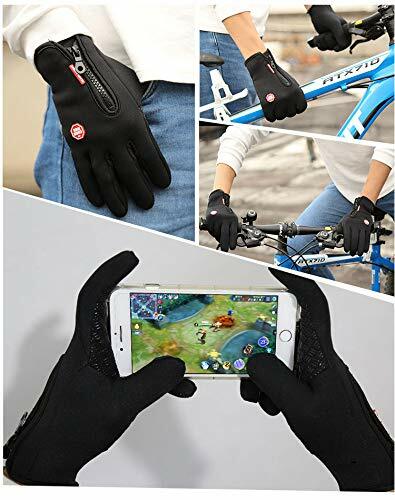 Power bank is not included in the product.